Hoi Bally ! as very traditional brand coming from a very traditional country Switzerland, BALLY just blow me away, i love how brands are keeping tradition like Bally stripes but moving and getting an update and pushing boundaries, for that i say just wooow Cosmic amazing, i just love everything they showed in Milan fashion week presentation. 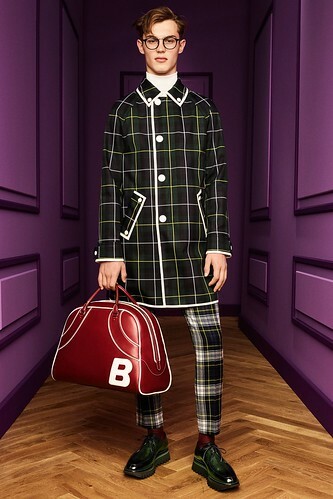 Trendy and easy going with a mix of materials and fabrics from velvet, tartan and colorful bags, of course keeping the high quality that always represent BALLY, a fresh direction which attracts now young community and fashionistas to stand up and keep it very trendy. I was a fan of Bally, now i am a huge FAN and even more supporting as i am living in Switzerland. Check some beauty outfits that were presented this week, I look forward to own some lovely pieces.